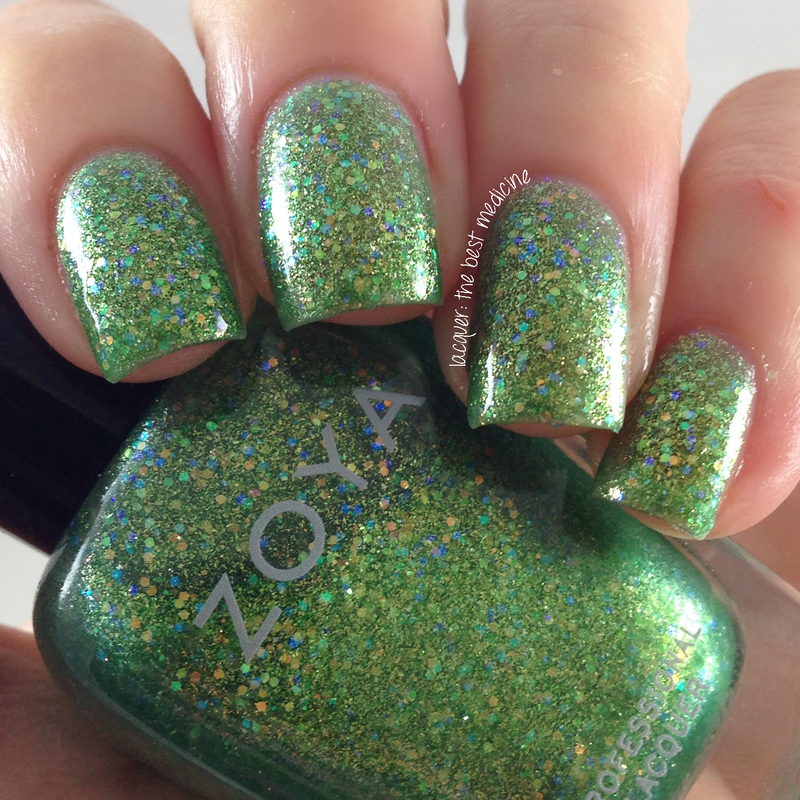 I'm back, Lacquerbeanz, and today I have the other half of Zoya's summer release -- the Bubbly Collection! YAY! 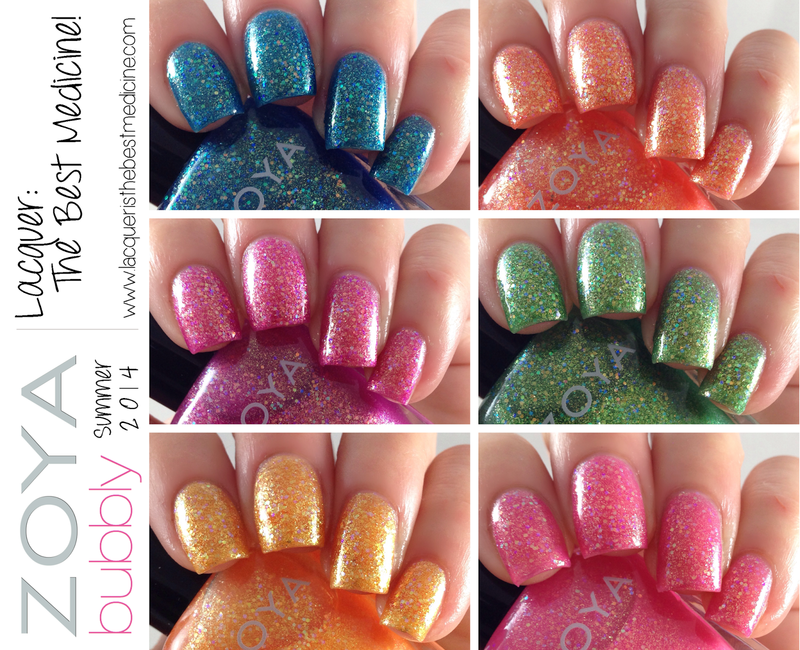 This collection consists of six dazzling jellies loaded with shimmering holographic glitter particles. All swatches in this post are topped with Glisten & Glow HK Girl top coat. Binx is a spicy orchid purple dappled with gold metallic and holographic sparkles. The formula was great (actually, the formula for all 6 in this set was great!) -- I used three coats for the swatches below, but you can get away with 2 for this one. Muse is my favorite from the collection. It's a blue raspberry holographic fizz with a subtle vein of gold. (o00oh what a fancy description!) After applying the first coat, I thought I'd need 3 coats for this one -- but it builds very nicely and I only needed two coats. 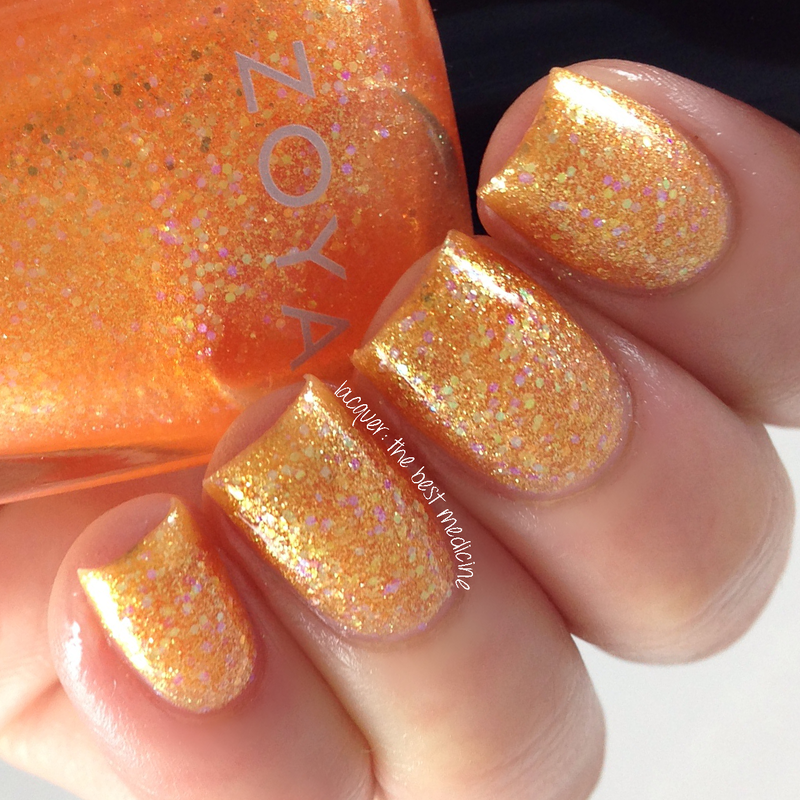 Alma is a warm golden peach metallic polish. I needed three coats for this one because it's on the sheer side. 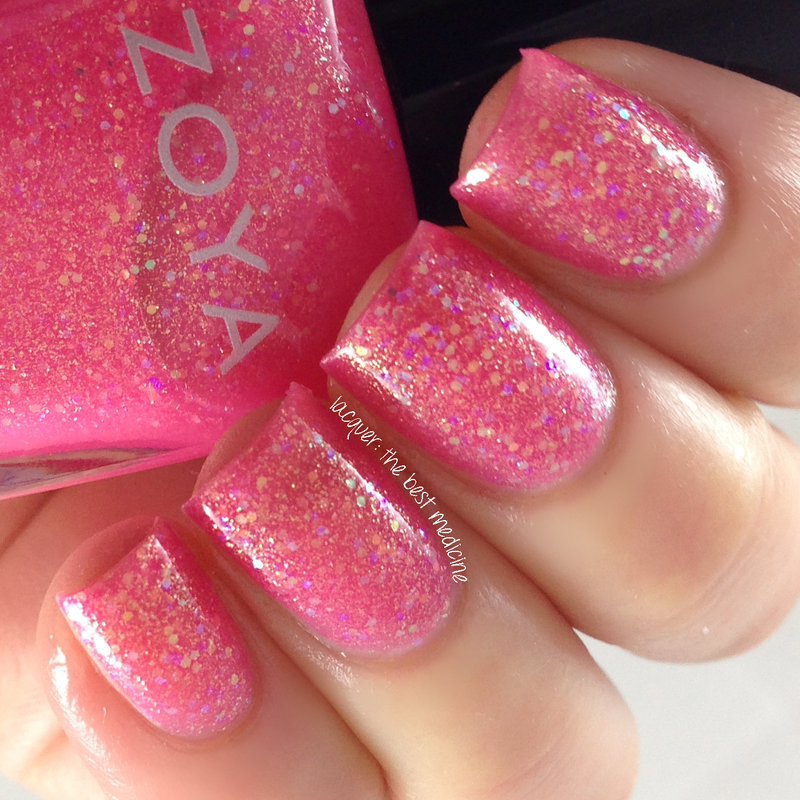 Harper is a cotton candy pink base with a spun gold shimmer. This one is more pigmented, so I only needed two coats for full coverage. Staasi is a brilliant citron green with a gold metallic glaze and holographic finish. 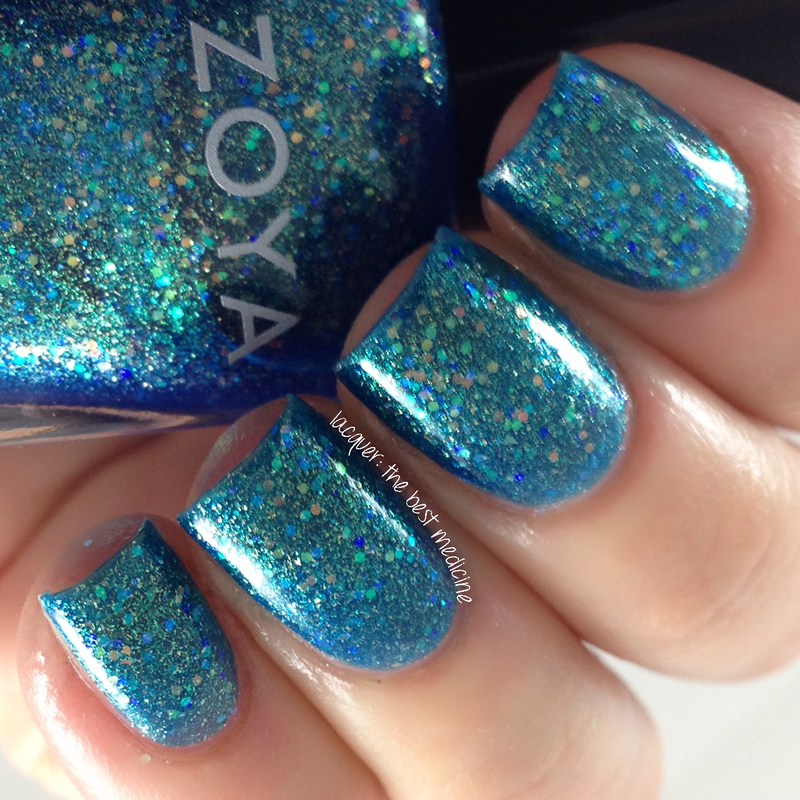 I used three coats for the swatches below, but you can use two coats for a lighter look. 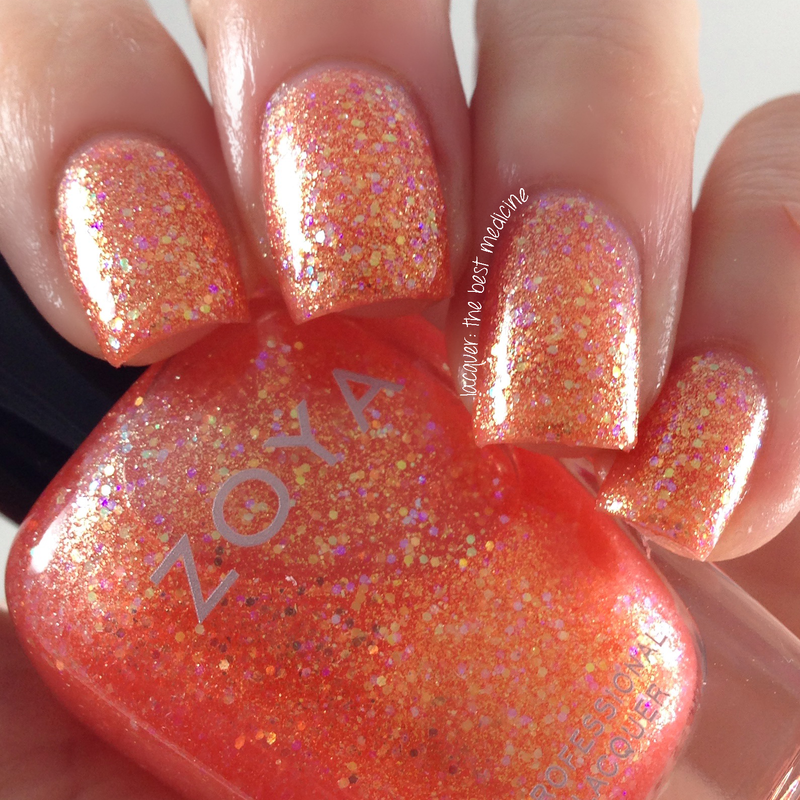 Jesy is a fiery coral orange metallic holo jelly. The formula for this one seemed a little bit thicker than the others. I used three coats for full coverage. 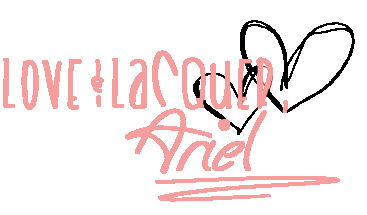 That's all for today, Lacquerbeanz! Which is your favorite? 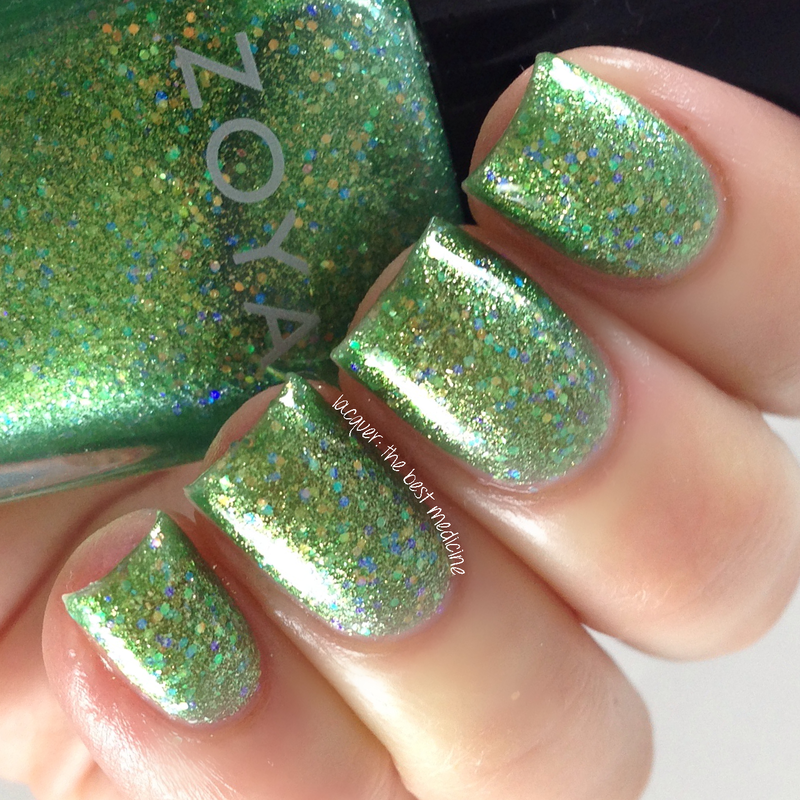 This collection is available now at Zoya.com, with individual polishes retailing at $9/bottle. These are gorgeous! I love the finish and sparkle these have. Love it.